Are you searching for a premium water ionizer minus the premium price tag? The Melody II alkaline water machine by AlkaViva could be the perfect budget ionizer for you. Below, I share with you my in-depth Melody water ionizer review and my expert opinion on whether it’s a good buy. I previously reviewed the Athena H2 and Vesta H2 models by AlkaViva. Out of the three, the Melody II is the most affordable. The main difference between the Melody II and the other H2 series ionizers is the number of platinum-coated titanium electrode plates. Now let’s jump into the features you’ll find in the Melody II. One of the greatest advantages of choosing an AlkaViva water ionizer is the filters you get. Out of all the water ionizer companies I’ve reviewed, AlkaViva and Tyent impress me the most with their filters. AlkaViva had their filters tested by an EPA-certified third-party lab for 172 known water contaminants. The results speak for themselves; the AlkaViva filters remove 99.9% of most contaminants on the list to virtually undetectable levels. You can’t ask for more from a water ionizer filter, especially at this price point. There are other inferior ionizers on the market selling for a lot more than the Melody II. Another feature I like is the silver and zeolite-impregnated carbon used in the filter. This is a top of the line material I like to see in my water ionizer filter. In total, AlkaViva uses 16 different media and technologies in its dual filters. I have yet to see another company go the extra mile as AlkaViva did with its filters. When it comes time to replace your filters, you can keep the plastic housing and replace only the media. AlkaViva did this on purpose to save you money on the housing and reduce plastic waste. You can also be 100% sure you’re buying a filter made in America. The estimated filter life of the dual-filter set is 1000 gallons or approximately six months. Another exciting feature found in the Melody II is the automatic molecular hydrogen infusion. Recent studies have found that molecular hydrogen is an amazing anti-aging antioxidant. The Melody II produces alkaline ionized hydrogen-rich water packed with antioxidants. The Melody II ionizer is the most affordable ionizer I’ve seen with built-in molecular hydrogen boost technology. Other ionizers with this feature cost $1,000s more. Click here to see the current price for the Melody II at Amazon and compare it to other popular ionizers. There have been promising studies showing improvements in cancer patients, respiratory diseases, digestive disorders, and even central nervous system diseases after molecular hydrogen therapy. In my opinion, molecular hydrogen infusion is a must-have feature in a water ionizer. Eventually, all water ionizers will include this feature, but you can get it right now in a Melody II ionizer for a much lower price than other companies are charging. You can choose to install your Melody II as a countertop unit with the included hardware in your package or purchase a separate AlkaViva under sink installation kit. Most people should have no trouble at all installing the unit as a countertop ionizer. Simply install the diverter at your sink faucet and cut the included hoses to the proper length for your kitchen. If you’re like me and would rather save your valuable counter space, you’ll want to install the Melody II as an under the sink ionizer. If you don’t feel comfortable installing it yourself, you can always choose to hire a local plumber to get the job done right. 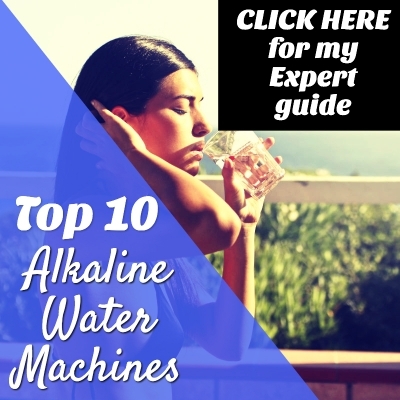 AlkaViva is one of the pioneers of alkaline water machines in the United States. The company started back in 2002 and found success with its original line of ionizers. As a company, AlkaViva has an A+ Better Business Bureau rating and has been accredited by the BBB since 2007. They’re also the first major water ionizer company to manufacture filters in the United States. AlkaViva sports a long list of certifications including the coveted medical device GMP certification, which only the most premium water ionizers companies have obtained including Enagic Kangen Water brand. AlkaViva manufactures its ionizers in a Korean ISO-certified facility. They also have a Facebook page dedicated to posting customer reviews. As far as the best water ionizer companies go, I put three at the top: Life Ionizers, Tyent, and AlkaViva. What I like most about AlkaViva is their ionizers are more affordable than Life or Tyent. The H2 series may not look as flashy as Tyent’s ACE-11 or Life’s MXL-15, but it’s what on the inside that counts. The Melody II certainly gets the job done and more. The only big difference between the Melody II and more expensive ionizers is the number of platinum-coated titanium plates, which is what makes the most expensive ionizers the most expensive. For example, the MXL-15 by Life Ionizers comes with a whopping 15 plates. However, this isn’t a dealbreaker for me. The Melody II may be less powerful than the MXL-15, but it still produces alkaline ionized water with molecular hydrogen. If you’re a single person, a couple, or a small family, the Melody II provides more than enough power to accommodate you. Then there are the superior water filters produced in the USA by AlkaViva – one of my favorite parts about AlkaViva’s ionizers. You can be sure you’re purchasing one of the best water filters in the world when you purchase the Melody II. Overall, I give the Melody II a giant thumbs up 👍. Buy this ionizer with confidence!